For over 80 years the people in San Joaquin County have been gathering to celebrate the grape harvest at the annual Lodi Grape Festival. 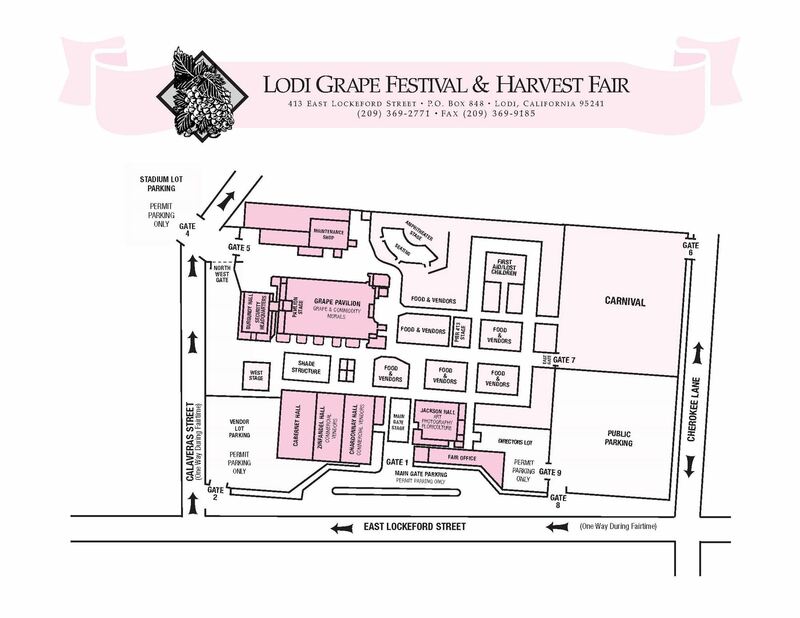 What started out as a small food festival in downtown Lodi has now evolved into a four day event filled with great entertainment, food, vendors, grape and commodity murals, competitive exhibits, carnival, wine tasting, and so much more. Thursday, September 12 - 4 p.m. to 11 p.m.
Sunday, September 15 - Noon to 11 p.m.
Friday is Free til' 5 Day - everyone gets in free from noon to 5 p.m.
Saturday and Sunday are Two for $2 til' 2 p.m. - bring two cans of food and get admission for only $2 from noon until 2 p.m. Ticket good for one adult or child admission - valid any one day. Copyright ©2019, Lodi Grape Festival. All Rights Reserved.